Creditz is a small application specifically aimed at creating scrolling up credits similar to those at the end of a movie. 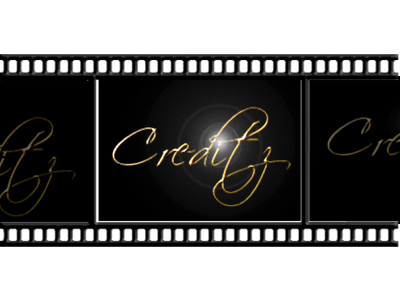 Creditz, unlike most video editing packages that can create scrolling credits, is designed for handling large lists of credits. It has a very easy to use, intuitive interface and produces high quality output in AVI format. 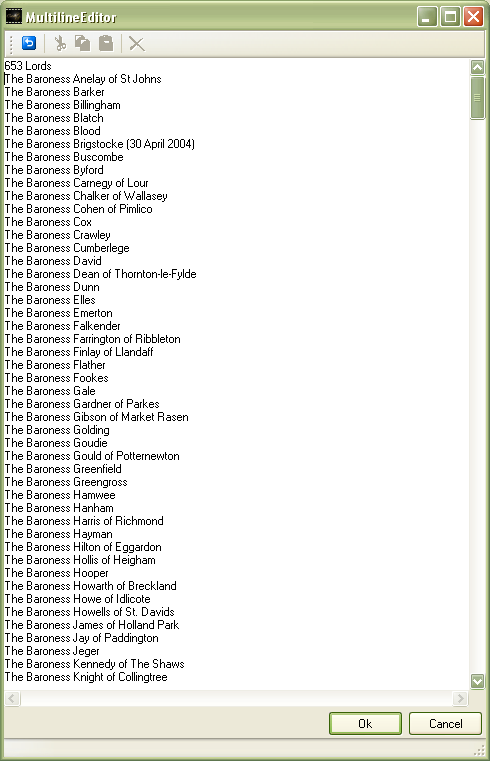 Anti-alised text for superb quality output. Configurable output sizes including standard settings for DVD/VHS, PAL/NTSC output. Output to AVI using Video for Window codecs installed on your machine. e.g. using the divx codec. 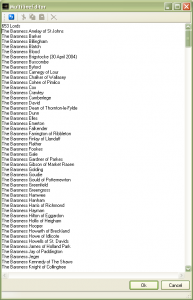 Fine tuning of text positioning helping align different font styles. Various image formats including Bmp, Jpg, Tif anfd Png with transparency and alpha blending support. 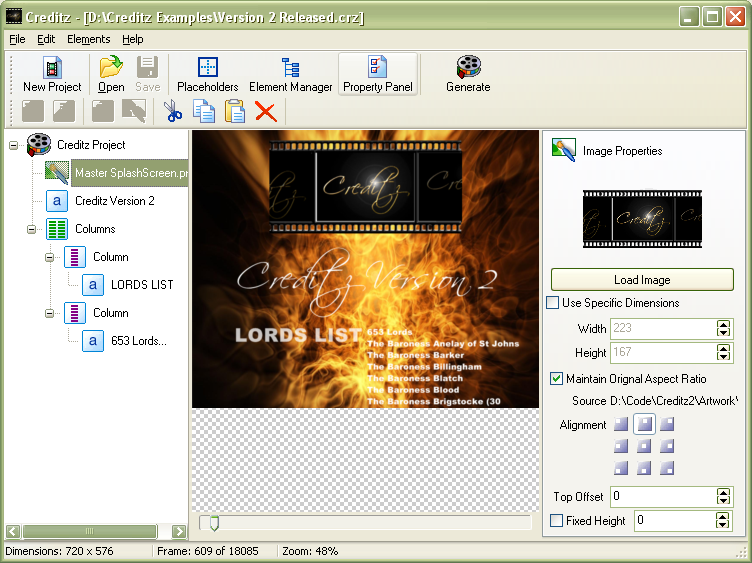 The Creditz download is a fully functional version of Creditz, with the exception of a watermark that is applied to generated content. This way you can prove that Creditz will do the job you require and check that the superb quality of output meets your needs before you purchase a license. To enable the full functionality of Creditz; to remove the watermarks from the Generated content you can purchase a Creditz license instantly online. On receiving valid payment details, a license will be emailed directly to you*. Attached to the email will be a text file containing the license. Please save this attachment to the folder that you installed Creditz to (usually c:\Program Files\Creditz). Creditz has been tested and runs under Windows XP. It should run under other versions of windows, but it has not been tested. If the trial works, then the licensed version will work also.